This month, the intrepid band of bubbly bakers at #TwelveLoaves chose cherries as the challenge. But I waffled about this for a loooong time before I decided what to bake. I had some dried cherries, but as much as I like them, they weren't calling out to me to bake them. I thought I had some frozen cherries left, but if there actually was a package left in the freezer, those had been divvied up in pie-sized portions, which is way too much for bread. Fresh cherries aren't in season yet, and I'm not fond of pitting them, anyway. I could have bought pie filling. Ooooh. I spied the open jar of Luxardo maraschino cherries in the fridge. They're a dark-red cherry, unlike the neon-red ones that are more common. They're a lot like Amareno cherries, actually. As soon as I thought of those cherries, the other half of the puzzle fell into place. The bready part of the puzzle. And then I decided to do an overnight rise in the refrigerator. 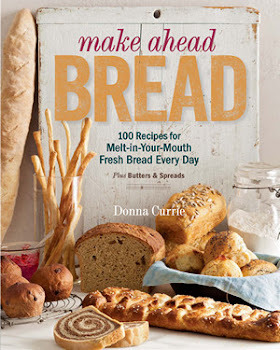 This isn't something I do all the time, but since it's the theme of my book, Make Ahead Bread , it's something I do when the mood strikes. morning and have them at a reasonable hour. If you don't have Luxardo or Amareno cherries, use what you have or what you like. Even a thick cherry jam would be good. Since this is a rich dough, I used the Red Star platinum yeast, but if you don't have that, their active dry would be my next choice. Instant is a distant third, but would probably be fine. If you use a different brand of active dry yeast, let it mingle with the water for a few minutes to soften before you start the mixing. If you don't, you risk having small pellets of yeast embedded in your dough. Knead until the dough is smooth and elastic. Add the butter and continue kneading until it is completely incorporated and the dough is smooth and shiny. Flour your work surface and spray a 9x13 baking pan with baking spray. Or, you can smear it with some softened butter, if you like. Turn the dough out and roll it to a 12x12-inch square. Spread the chopped cherries onto the dough, leaving a inch uncovered on the far end. Roll the dough - not too tightly - jellyroll style toward that uncovered end. Pinch the seam to seal that uncovered end to the roll you've created. Place the slices, with a cut side upward, in the pan. There will be some space between them. Cover the pan with plastic wrap (I have a 9x13 baking pan with a plastic cover - this is one of my favorite pieces of baking equipment - highly recommended) and refrigerate overnight or up to 24 hours. When you're ready to bake, take the rolls out of the refrigerator and heat the oven to 325 degrees. At this point, the buns should be fully risen, but if they're slacking, you can let them sit around at room temperature for a while to finish rising. I noticed that some of the juice had leaked out of the cherries and had created a little puddle in the bottom of the pan. To keep that from burning - which would have made me really mad - I put the pan on a baking sheet for a little more bottom insulation, and I also baked the buns in the upper portion of the oven. Bake until the buns are nicely browned and - if you're not sure if they're done - they reach an internal temperature - in the bread, not the cherries - of 195 degrees. Figure that this will take about 35 minutes, but check them sooner and allow for a few extra minutes, if required. Remove the pan from the oven and remove the buns from the pan to cool on rack. When the buns are cool, you can drizzle them with a powdered sugar icing drizzle - just mix powdered sugar with a small amount of water, milk, or cream, until it's a pourable consistency. It doesn't take a lot of water, so start with a little and add more as needed. Drizzle the buns with the icing and serve. 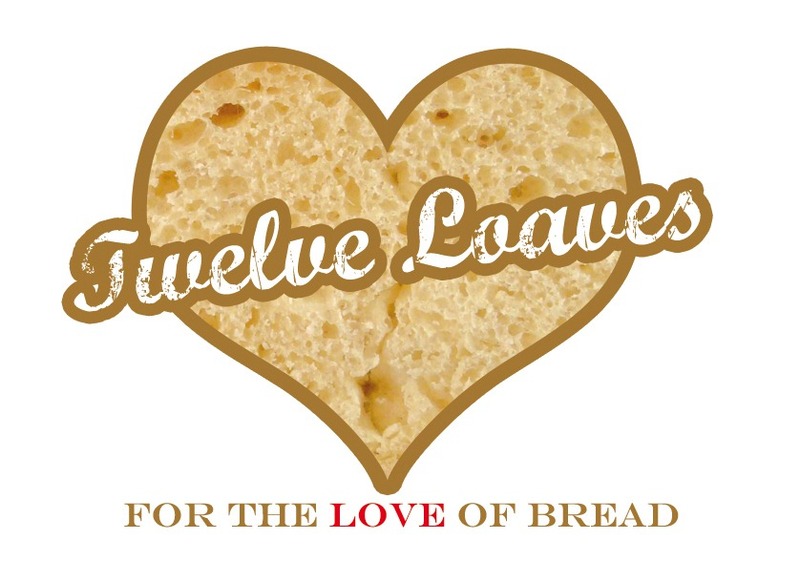 #TwelveLoaves is a monthly bread baking party created by Lora from Cake Duchess and it runs smoothly with the help of our friends. Thanks to the wonderful Renee Dobbs and Liz Berg for their help this month! Check out these great recipes from the #TwelveLoaves Bloggers!